For one month every year, five friends team up for a no-holds-barred game of tag they’ve been playing since the first grade—risking their necks, their jobs and their relationships to take each other down with the battle cry: “You’re It!” This year, the game coincides with the wedding of their only undefeated player, which should finally make him an easy target. But he knows they’re coming…and he’s ready. 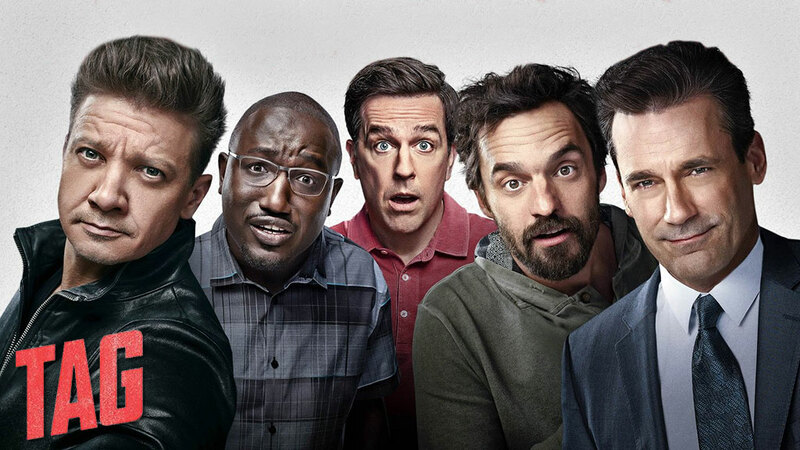 Based on a true story, this outrageous comedy starring Ed Helms (The “Hangover” movies), Jake Johnson (TV’s “New Girl”), Hannibal Buress (“Neighbors”), Isla Fisher (“Now You See Me”), Jon Hamm (“Baby Driver,” TV’s “Mad Men”) and Oscar nominee Jeremy Renner ( “The Avengers” films), shows how far some guys will go to be the last man standing. For your chance to win a copy of Tag on DVD simply follow the instructions in the Tweet below. This giveaway opens on 1 November 2018 at 20:30 GMT and closes on 9 November 2018 at 21:00 GMT. Prize includes one copy Tag on DVD. Three (3) winners will be randomly selected from all applicable entries. Winner will be contacted by United By Pop via Twitter direct message. Winner must supply United By Pop with their full name and mailing address to receive their prize. By accepting the prize and providing contact details the winner consents to their full name and mailing address being shared with Grapevine Digital to fulfil their prize shipment.